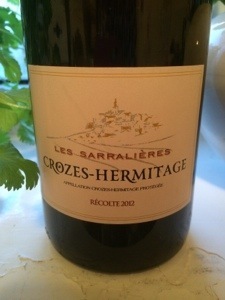 Crozes Hermitage From lidl, a lidl meaty wine, lidl bitter, lidl foxy! but some nice white spicy pepper on the finish, (a must for my Northern Rhônes;) though I would rather it had some black pepper with more elegance. Definitely needs to be paired with red meat, the rawer the better to make this one a success!